Propolis extract - Propolis tincture 4 oz. Home > Propolis > Propolis Extract - 75% - 4oz. Comes with both a cap and dropper cap . 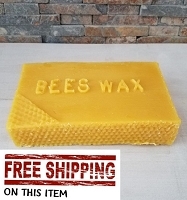 It is my third time ordering 75% extract propolis. The quality didn't change, it is the best! 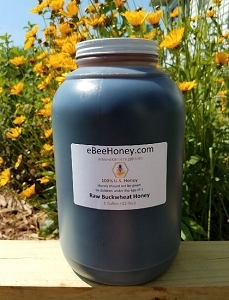 I tried other companies and coming back to ebeehoney. I use it like a supplement, ad in to my water. I noticed that it helps to reduce pain in my body /cancer with bone metastasis /. Thank you. Excellent product! Would highly recommend! This is the best Propolis I had. I will be a life long customer. This propolis is genuine and highly effective. I mixed with warm water and it fully melted in water. 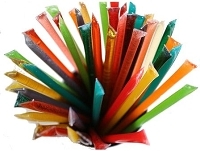 When I drink it, I usually use straw in order to avoid stains on my teeth. This is wonderful remedy for prevention of all kinds of diseases and reinforce immune system. I love this propolis. I will keep buying it!!! Great quality !used for my self for immune system, stomach problem, add to water to rinse my hair as I was loosing it . I have noticed all resale after a week of using the product.I have two adopted cats with ring warm,and wiped the areas with propolis extract several times per day,and it is almost gone. I strongly belive in propolice health benefits, and it should be taken daily ,just be careful with dosage to prevent allergy. Thank you for the great product. My interest in this product derives from a fatty tissue under the skin that, we all discover, at some point in time, and wonder about. 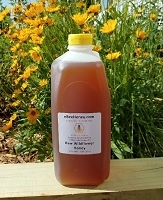 Researching the natural remedies, honey mixtures and propolis seemed the best remedy. How to find the best product. It has been a wonderful surprise. This product dissolved the fatty tissue with a remarkable speed. I must say, the fatty tissue was a new appearance and that may have something to do with the speed of clearing up. An older lipoma, that has been around for a few decades, seems to persist and will take longer. 10 drops with the morning coffee does the rest of the goodness to the body. Take good care of the bees. They are gift from heaven we ought to treasure instead of abusing. Thank you for making this product available. Since I got this to treat H-Pylori, I am very excited about it's healing properties. However, the taste is rugged, especially for me since I hate any taste of alcohol,so I am trying to find empty capsules so I can put it in them and swallow it that way. But the product is exactly what I need. A blessing to have found you and your product. I don't care for most grain alcohol, so I found the taste to be pretty foul. Aside from that small glitch, I did notice that this particular product contains about 25% more propolis than most other similar products on the market. The size is perfect in that it is not so expensive that I was hesitant to try it, but large enough that I feel like I'll get a good test run out of it see if I like it. I liked that a dropper was included as well and found the glass container and topper to be solid/leak-proof. I swear by this product. I take a full dropper once per day for immune system health. I tell everyone to buy it. I hope the 75% is as strong as the 80%. I also hope that the product stays as strong as it is. 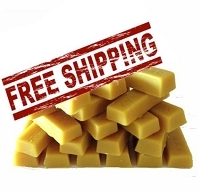 I cannot find another propolis that is comparable in quality or price. Don't change EBeeHoney! I have had severe sinus infections for all of my life. I am 54. In fact, I would usually be drenched in perspiration after sleep due to the problem. I use the propolis everyday as it significantly helps my chronic sinusits and I no longer wake up in the mornings with a sore throat. This is a good natural anti-biotic. Thanks. Roger G.
The propolis tincture was not the quality l was looking for. To all users of this tincture, when you drop on bare hands a few drops of propolis this liquid will coat(stain) you heavily.It takes alcohol to clean your skin. l used propolis all my life so l know quality. The resin they used is not quality or enough??!! This is the first time I have ordered and used propolis. I had done research on the many uses of propolis and wanted to try it for my overall health ( I have a number of health issues ), as well as try it for my dog, who has cancer. Since taking a 1/4 of a dropper every morning, I can tell it really does give me a mild boost of energy for the day. I have had a bad stomach for about a month and it has helped with that, as well. The issue my dog is having was not helped with propolis, but I continue to give it to him anyway, in hopes that it may help with the cancer overall. I believe the product offered by ebee is a good one and a good value. My order arrived in a timely fashion. Very potent tincture. A small amount goes a long way. Excellent product. Thank you. This stuff is AWESOME!! My husband and I have been using it to help our immune system. The immediate results are incredible for sore throat and toothache. I personally ordered it to help heal a cavity by dropping in right into the tooth and I think it is on its way to being mended. There are tons of uses for Propolis so we are looking forward to a lifetime of using! This is the best quality propolis that I've tried. eBee has great customer service and ships out orders quickly and efficiently. Great product. Excellent customer care.Very fast shipping...Thank you very much. I will recommend to all. I have had a cough from COPD for 30 years. Sipping Propolis 80% Extract not only stopped my cough...it CURED it!! I have been purchasing this product from another source this has a stronger alcohol taste than the other. Also the dropper is not as well made as the other, it comes apart when you use it. This was less expensive though. I use it faithfully and it keeps the winter colds away. 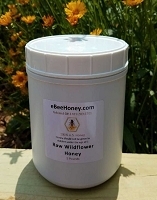 I purchased this product to try for the first time and am glad I purchased from ebeehoney.shipping was fast and the products are excellent.i will shop here for my bee supplies from now on. 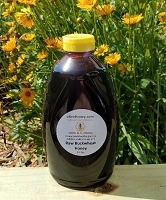 I use this in my elderberry syrup. It is very strong and helps tonify the immune system. When sick, I add a dropper full to a tea made with lemon, ginger, and wildflower honey. This is a wonderful product & it has always been a pleasure doing business here. Thank you & I look forward to doing business with you again! This propolis is an important part of my family's immune system formula. It also helps Queen Bees to live for a few years while worker bees live for a few weeks. I use it make mouthwash and tooth powder. It helps de-industrialize your body. I brought this product home to my parents. 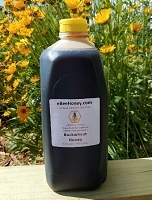 They both like it so much that they say this bee propolis liquid product is bitter but it is much better than other bee propolis products in capsules. So half year later now, I become its returned costumer. But I want to have the seller's attention, please! The cap of the bottle does not work well, that is, it is very easy to leak, especially for a long flight!! Hope it will be improved, so that I would buy more for my parents who are on the other side of the earth! 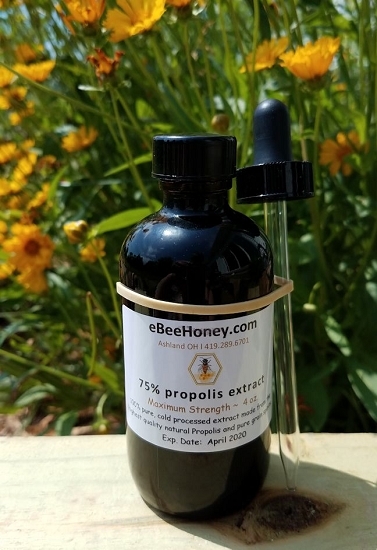 This is my third time ordering propolis tincture from ebeehoney.com, and I use it for sore throat due to severe allergies, and sore throats due to colds & flu. (All tho I find that since I've bin taking this propolis, I don't have either as often as I used to) I recommend this and all ebeehoney products I have tried to be of the highest quality & purity. The 80% Propolis Extract is a fine product. But, as the writeup says, "highly concentrated and highly potent! 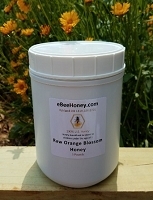 I am a firm believer in the power of bee products, so I recommend this to one and all. Use wisely. I depend upon this quality product to keep my immune system boosted since I have non-Hodgkins lymphoma and my system is very compromised.